Our special promotional packages are sponsored by the participating resort provider who is paying the 77% discount for these promotions. It is the resort provider who set forth certain eligibility requirements for these vacation packages – not BookVIP. 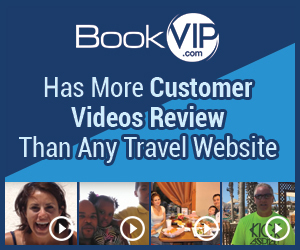 BookVIP is responsible for making sure all guests we book are qualified for the particular vacation package they are interested in visiting. All qualifications and restrictions are reviewed with the potential guest during the sales call and must be accepted by the guest via electronic signature before the reservation is finalized and dates sent to the resort. The Terms and Conditions are also located at the bottom of every hotel/resort offering page on our website. Your vacation package is final and non-refundable as a result of your decision to decline acceptance of the Trip Guard Insurance which was offered during the sales call. All is not lost, however, because you have until July 10, 2017, to use your credit towards any one or more BookVIP vacation packages for which you are qualified. This company has consistently used fraudulent business practices and has my deposit of over 490 dollars they will not refund. I am contacting the us district attorney today. I have tried to resolve this with numerous phone calls and have hired a lawyer to sue them. They say you must be under 59 and have a major credit card to qualify for this "deal". I have contacted the supervisor for cancellation. She simply told me "no refund", but offered to keep the deal open for 2 years. They also at first told me that I and my companion must be married with the license showing the same address. Reason of review: pure fraud from the word go. Review #882455 is a subjective opinion of spanky1011.